You will probably have seen our recent blog post explaining why the cheapest MOT isn’t always the best. It’s a popular consumer issue at the moment and many motorists are looking for the best deal, unaware that they might not always be getting the best service. There are 20,000 MOT stations in the UK and 18,000 of those are at independent garages. So we turned to one of our members and asked them where they stand on the popular topic of MOTs. All independent garages can give a qualified opinion on the MOT but Cavalier Garage, in Manchester has been carrying out high quality MOTs for over twenty years so their views are based on considerable experience and are worth listening to. Owner Rob Harris is a qualified MOT tester and has two other MOT testers on his team. He explains what he had to do to in order to operate a garage business that was qualified and trusted to perform the MOT test. “Becoming certified for MOT testing is quite a rigorous process. You have to apply in principle to VOSA with in-depth plans of your workshop, indicating where your testing bay will be and the facilities you have available for it. Then an enforcement officer comes out and has a look at your workshop. If they are happy that you have the facilities for MOT testing then they will accept your application in principle. It’s then up to you to install the necessary high quality equipment for MOT testing in the workshop. We mentioned before that a garage providing an MOT needs to cover the costs associated with providing it and therefore often can’t afford to offer MOTs at an unrealistic or headline-grabbing price. This does mean, though, that when you have an MOT performed at one of our member garage you receive a proper job, and will be charged fairly only for parts that need to be replaced. For Cavalier Garages, price is not so much an issue as the fact that motorists need to treat the MOT as a test of their vehicle’s road safety and environmental standards. It’s not the same as having a vehicle serviced and doesn’t check its general mechanical condition. Rob explains: “An MOT and a service are two entirely different things. When was the last time you saw someone pull up on the hard shoulder of a motorway with breakdown and they are baffled as to how it happened because their car passed its MOT the day before? It’s not because it was missed in the MOT but because how well the car runs is not part of a standard MOT test (other than testing for emissions). 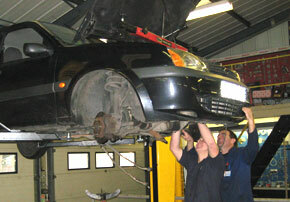 If you live in Stretford, Manchester, make sure you visit Cavalier Garages for regular servicing. If you don’t live in Stretford but want to find a garage you can trust, enter your postcode in our postcode finder and we will pinpoint your nearest Trust My Garage member. Don’t forget you can now leave feedback on our website too! Have you found a garage you can trust? As part of the Trust My Garage customer charter we make sure all our garages are trusted to work to high standards, use up to date technical information, techniques and tooling in every service, and achieve key industry standards set by the RMI. We want to make sure that whenever you visit one of our member garages, you receive a service so honest, professional and friendly that you go back again and again for your services, general maintenance and repairs. The experience that you have at our garages is of the utmost importance to us and the reason we are working to raise standards in the independent garage industry is for your benefit. That’s why we recently applied to make Trust My Garage a government backed code, and that’s why we have just introduced consumer feedback to our website. The next time you enter your postcode in our garage finder, you will be given the opportunity to review your local Trust My Garage member. Your feedback will be moderated by us for security purposes and be displayed on the website, in that garage’s particular profile. This means that other motorists looking to use one of our members will get a good understanding of the quality of service they can expect to receive. In the rare occasion that a genuine complaint is made against one of our members, we will take action to investigate the issue and ensure that it’s resolved quickly and to everyone’s satisfaction. It’s our way of giving you a voice and letting you have your say on our member garages. It’s also important to us that members receive good support from Trust My Garage, which not only benefits the garage industry as a whole, it also means members have a voice when it comes to raising standards . When you have a great service from one of our members we want you to tell everyone just how well you have been looked after and if your experience isn’t so good, we want to do something about it. If you have had a really good experience from one of our member garages there are other ways you can say thank you. Nominations are now open for the Top Technician Awards 2014 and you can vote for your favourite Trust My Garage member here. Every year garage technicians from across the country battle it out in a bid to be crowned the UK’s Top Technician. The competition was born back in 2002 to champion the best technical repairers off the back of national press querying the level of technical knowledge and practical skills needed at garage to ensure you are kept safe in your vehicles. We have often had member garages in the running for the competition, nominated by members of the public. Most recently we told you about our member Cleevely Motors, which had its manager Matt Cleevely named as one of the top 24 technicians in the UK, from over 650 nominees. Matt was nominated by his customers and had to complete a demanding test of his technical abilities. It included questions about repairing electrics in cars, using new technologies in the workshop and how he goes about making repairs on old and modern vehicles. His 16 years of garage experience carried him through and helped him to become named one of the technicians in the UK. This year the competition is looking for more top technicians and wants you to nominate your local garage. If you use a Trust My Garage member for your servicing and repairs, and are delighted with the service you receive, consider nominating them for this national award. And don’t forget to submit your own feedback on them on the Trust My Garage website. After all, we want to work with you to improve standards in the independent garage industry. If you are following us on our social media platforms you might have noticed our #100for100 hashtag and be wondering what it is all about. It’s all part of a wider celebration that we are having this year to mark the 100th anniversary of the Retail Motor Industry Federation. Still confused? Allow us to explain….. The Retail Motor Industry Federation is a leading automotive trade body in the UK, representing garages, bodyshops, motorcycle dealers and number plate dealers who provide sales and services to motorists and businesses across the UK. What’s this got to do with you? Well, without going into too much detail, within the Retail Motor Industry is the Independent Garage Association – the organisation that first launched Trust My Garage three years ago. This means that our garages, and the services they provide, are backed by one of the oldest automotive trade bodies in the UK. We have 100 years’ of automotive experience behind everything we do. That’s huge! It means that we know the garage trade inside out and when it comes to raising the standards of independent garages, for the benefit of you, the motorist, we know what steps we need to take to make visiting an independent garage a more pleasurable experience. And already we have signed up over 2,000 independent garages throughout the UK that have the same vision as us – to provide the very best service each and every time. Our recent application for code status reinforces our commitment to you and is an important part of our drive to raise standards across the entire independent garage sector. 98. Crosswords – people started trying to work out number 15 down 100 years ago! 93. It is 100 years since the first car exceeded 100 mph – the Vauxhall 30-98! 61. Brillo pads – You’ll find no stains on our member garages! 28. Unemployment and maternity benefits – they were first introduced in 1913! 25. Potato crisps – they were first manufactured commercially by Carter’s Crisps of London 100 years ago. 7. British cinematographer Douglas Slocombe – who is still alive today! 6. The Pygmy hippopotamus – the animal was first identified in 1913! It’s that time of year again. The nights draw in earlier with each passing day, you wake up in darkness and going outside without your big coat is tantamount to ordering your own death wish. This is the time of year when you appreciate you car the most, because let’s face it, can you imagine having to queue up at a rainy bus stop on a bitterly cold morning? No, thought not. Whilst your levels of affection towards your car may raise, they definitely don’t feel the same love from nature, with the cold weather finding various ways to inflict damage on them. Whilst we’re all aware that regular checks are vital, very few of us actually carry them out. In fact, there are statistics to back that statement up. A Trust My Garage survey carried out earlier this year found that a whopping 84% of motorists neglect to carry out basic, regular checks on their vehicles. Admittedly it’s tough; you’ve come back from a long hard day of work, it’s pitch black outside and all you want to do is sit in front of the TV and hibernate until the morning. However, by failing to carry out basic checks, like oil and engine coolant levels, you’re putting your car massively a risk, resulting in costly repairs or even the inconvenience of having no car at all, and that’ll mean having to get that bus to and from work (shudder). 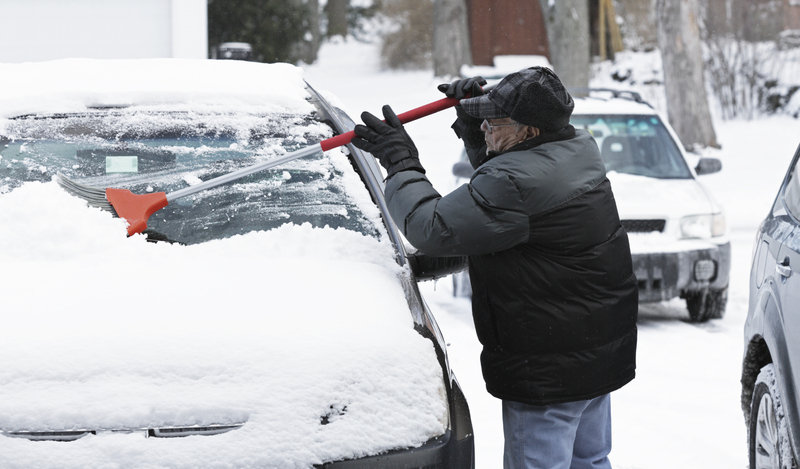 Don’t worry though, because simply by following our simple advice you can ensure you keep your car WARM this winter. So what does WARM mean? Well you’ve noticed it’s capitalised and therefore it must be an acronym, and as with the very best acronyms it reads as a word that’s relevant, like Seasonal Affective Disorder (SAD). WARM is an incredibly simple acronym that will help you give your car all the required love it desperately yearns for during the winter months. We all know the importance of windscreen wipers as without them your visibility can often be reduced to zero, especially during those drives where the rain stubbornly refuses to pass. Your wipers take a lot of flack in order for you to be able to see the road in front of you, with the cold weather causing them to crack and split, so you regularly need to make sure that they’re in good condition. If you notice your wipers aren’t clearing the rain away properly or if they’re leaving smears then you need to start thinking about replacing them. Reduced visibility in bad weather will seriously jeopardise your safety – and for just a few pounds you can get them easily and quickly replaced. Antifreeze is a component of most, but not all, engine coolants. If you want your engine to work properly then you need to have the right concentration of coolant. Coolant levels should be regularly checked. If you have ever topped up the system with plain water then the anti freeze will have become diluted. Make sure that once week you have a quick check of the water coolant reservoir to ensure the liquid inside is at maximum level. If you notice it drop then there could be a leak in the system, something you really want to avoid. Because all cars are different make sure you use the right type of antifreeze by checking your handbook or consulting your local Trust My Garage member. There are two important things to keep in mind regarding your tyres: whether they have the right amount of tread and whether they’re correctly inflated. 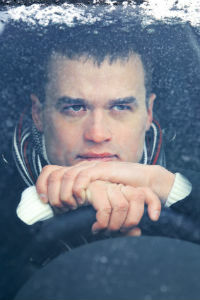 Driving on wet and icy roads is challenging even for a seasoned driver. Over or under-inflation can affect steering and braking, and if the tread on your tyres isn’t at least 1.6mm-the legal requirement for cars and light vans- then they’re going to struggle and put you and other drivers at risk. Having sufficient tread will help prevent skidding and dreaded aquaplaning, when your car loses traction and is lifted by the water on the road. Sound scary? It is, terrifyingly so, so check your tyres! For more information on checking your tyres and the things you can do yourself, visit the Tyresafe website here. Cars are not only expensive pieces of equipment but yours most likely holds an important place in your heart, like a metallic member of your extended family. Therefore it makes sense to look after it by carrying out a few basic checks every week and regularly getting it serviced at your trusted dealer. Whilst it may be a bit of a chore, these easy tips will not only keep you safe, but also increase the longevity of your motor, saving you money in the long run. How else can I keep my car WARM? 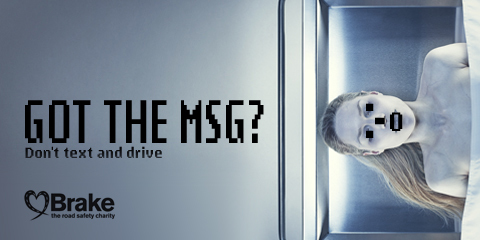 A simple service from a local Trust My Garage (TMG) member can ensure that your vehicle is safe and fit for driving. TMG members have access to technical information and expertise to ensure your car remains roadworthy in the harsh winter wonderland that will soon envelope us. To locate your nearest Trust My Garage member and take advantage of quality service at an affordable price, simply log onto www.trustmygarage.co.uk and type in your postcode to see a list of Trust My Garage members in your area. 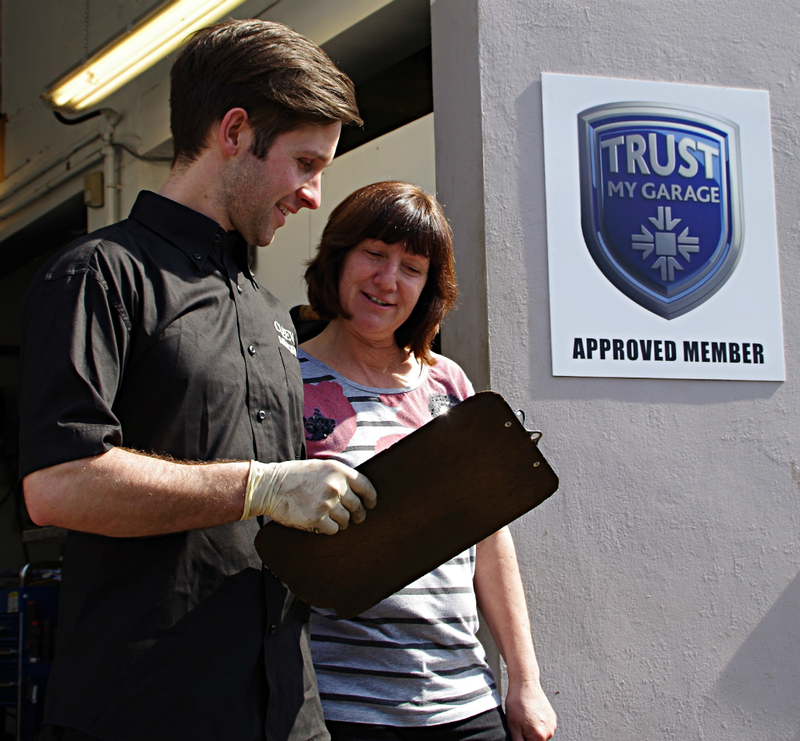 Members of Trust My Garage are true professionals – local independent businesses which are part of your community. 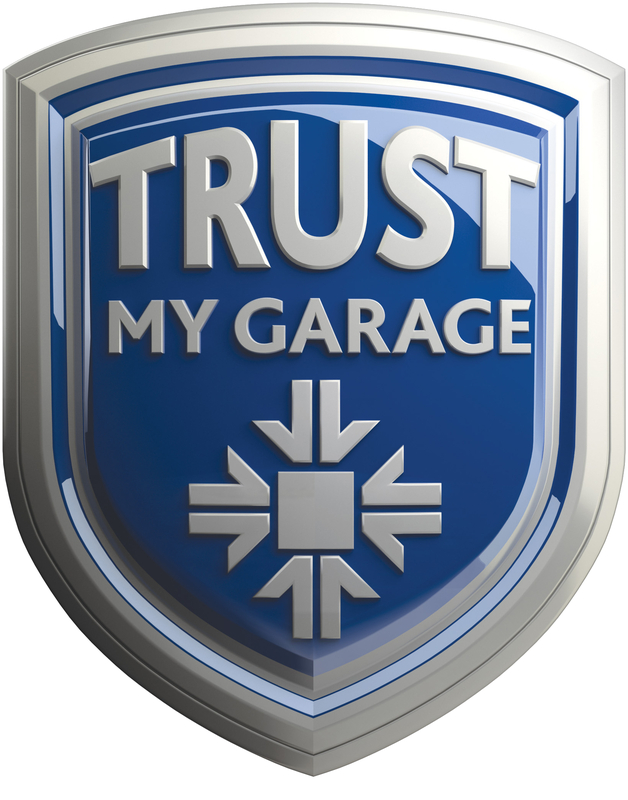 Trust My Garage is the truly independent scheme for independent garages. Winter is well and truly upon us, and as the early nights draw in so does the weather, which never seems to fail to grind the UK’s roads to a halt. Snow, rain and freezing temperatures combine to make getting from A to B about as challenging as taking part in a World Rally Championship race. This winter is expected to break records for snowfall, with forecasters claiming it’s likely to be the worst winter for more than 100 years. And in the light of this grim news, we’re offering our five top tips to stay safe on the roads when driving in snowy and icy conditions. 5. Check your tyres. You need to make sure your tread depth and tyre pressures are right for winter motoring. At least 3mm of tread is correct for winter driving and certainly nothing less than 2mm. Reducing tyre pressures to get more grip on the road doesn’t work, and in fact reduces stability. If grip is a problem, you might want to consider using winter tyres. They have a higher silica content in the tread which prevents them from hardening at lower temperatures; providing you with greater grip on the roads. For more information about checking tyres and the things you can do yourself, visit the Tyresafe website here. 4. What is your vision like? Make sure your windscreen and roof are completely clear of snow as you will need as much visibility as you can get with driving conditions becoming darker over winter. Make sure all your bulbs are working correctly and that the lenses are clean. Remember that your number plates need to be legible too – you risk a heavy fine if they can’t be seen by other motorists and pedestrians. 3. Energise battery levels. Lights, heaters and wipers put high demands on your car battery. Batteries rarely last longer than five years anyway, but their life will be shortened if you use your car mainly for dark rush-hour trips. Avoid running electrical systems longer than necessary, turn off non-essential electrical loads like heaters and wipers when you don’t need them. 2. Stay calm. Winter driving conditions can be treacherous. Reduce your speed when it is icy and prepare for your journey well in advance. Remain calm in your car and stay alert for signs of danger, which could cause you to slow down or brake. Make sure you are wearing comfortable, dry shoes for driving, and try to stick to main roads as much as you can as side roads won’t always have been gritted in icy weather. 1. Get your car serviced at a Trust My Garage member. The best way to make sure your car is prepared for winter conditions is with a winter service at a Trust My Garage member. There are things you can do yourself but to be sure we always recommend you take your car to your nearest trusted independent garage and let the experts have a look over it. Braking in particular can become a real issue when roads are icy or snow-covered so it is imperative you have your brakes looked at by a professional, and whilst you can roughly gauge your tyre tread depth yourself with the old coin trick, it is far safer to trust a professional. For the ultimate peace of mind when driving this winter, find a garage you can trust for an honest and professional winter service. Just put your postcode in our garage finder and we will show you where your nearest Trust My Garage members can be found. Every independent garage that signs up to our scheme pledges to give you the very best customer service. We have almost 2,000 members now, and they all take pride in ensuring you go home happy; whether you visit them to get your vehicle serviced, repaired, or for an MOT. And there is no finer example of this than what the team at Ridgeway Garage, in Enfield, are doing. They have recently joined Trust My Garage, reflecting the fact that they have been providing excellent customer service for almost 40 years. The garage even lists celebrities such as actresses Michelle Ryan and Linda Lusardi, cricketer Phil Tufnell, comedian Ed Ray and footballers Ray Clemence and Paul Furlong amongst its growing clientele. This is the philosophy of every one of our member garages. This is enshrined in our Customer Charter, which is our commitment to providing you with the highest level of customer satisfaction. 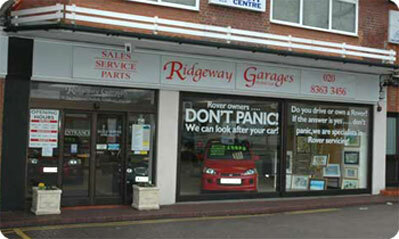 Ridgeway Garage is showing that TMG members treat everyone as a celebrity when they walk through their doors. It doesn’t matter who you are, whether you are a high-flying celebrity or the man on the Clapham omnibus, you will all be treated to the same highest standards. Gary said that some of his celebrity clients have given him signed photographs of themselves, which he proudly displays in the garage’s reception area. Do you know where your nearest Trust My Garage is? If not, don’t waste another second and type in your postcode in our garage finder to find quality service you just can’t beat.